Kalibrate Blockchain, Boehringer Ingelheim and IBM Canada all are working with blockchain-based technologies designed to improve and secure healthcare processes, including clinical trials. Kalibrate Blockchain, developer of the Universal Patient Index, has kicked off at HIMSS19 an exclusive licensing program for its FormDrop mobile app. The company will award an exclusive license to a single hospital in each market allowing that hospital to embed the FormDrop SDK in its own mobile app. The FormDrop app allows patients to electronically fill out and submit forms to healthcare providers using their personal smartphones, with no need for clipboards, paper forms or electronic tablets. Patients can also use FormDrop to index their patient IDs and personal health information on the Universal Patient Index as well as to authorize access to that information by healthcare providers, whether or not those providers have adopted the Universal Patient Index platform. FormDrop is a component of Kalibrate Blockchain’s emergence strategy for rolling out the Universal Patient Index, according to Kalibrate Blockchain CEO Calvin Wiese. “Exclusive FormDrop SDK licensees will have unique opportunities to create patient engagement and reach patients in their markets, including patients outside their provider networks,” Wiese said. Hospitals interested in an exclusive license to embed FormDrop are invited to visit Kalibrate Blockchain at booth 9000-137. Early registrants will be given right of first refusal for the exclusive FormDrop SDK licenses. 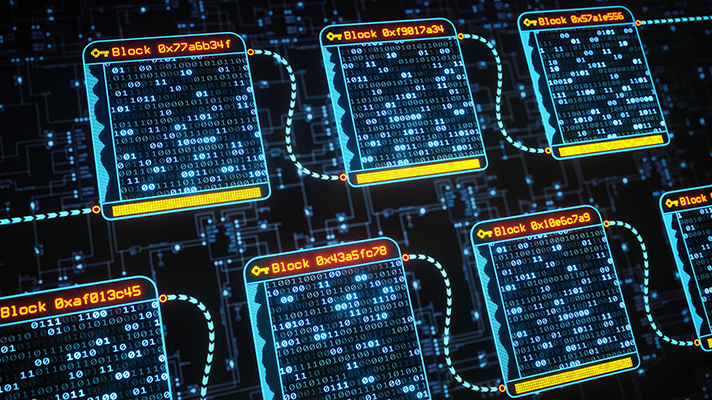 Elsewhere in the blockchain arena, Boehringer Ingelheim and IBM Canada announced at HIMSS19 their plans to explore the use of blockchain technology in clinical trials. This collaboration underscores Boehringer Ingelheim’s commitment to healthcare innovation and marks the first time that blockchain technology will be explored in a clinical trial setting in Canada, the company said. Based on the findings of regulatory authorities, processes to ensure the quality of clinical trials are frequently inadequate, and clinical trial records are often erroneous or incomplete, which may put patient safety and interpretability of trials at risk, the company added. Significant opportunity exists to improve the quality of clinical trial processes and record keeping, and Boehringer Ingelheim and IBM Canada aim to test whether blockchain technology in clinical trials provides a decentralized framework that enables data integrity, provenance, transparency, and patient empowerment as well as automation of processes, ultimately improving trial quality and patient safety at reduced cost. IBM Canada brings core blockchain technologies to this collaboration, which provides patient consent, secure health data exchange and patient engagement, IBM Canada said. IBM’s technology helps provide trust and transparency around the complex trial process, the company added.